SEGA promises better Sonic games and "a greater focus on quality"
The Great SEGA Apology Tour continues with yet another executive promising "a greater focus on quality" when it comes to Sonic the Hedgehog games. It's no secret that the series has squandered most of its reputation over the years, but the occasional critical hit still leaves the briefest bit of hope for those holding out for a grand return to the heyday of the 90s. Sega Networks COO Chris Olson is the latest to promise the sky when speaking with Polygon, stating that fans "can look forward to a greater focus on quality," and that SEGA "wants to bring Sonic to where gamers are." The problem lies in that Sonic's fanbase is becoming increasingly younger, as proven by the popularity of the newest cartoon series on Cartoon Network. It's tough to make a game aimed at both a young generation of kids, where game quality isn't all that important financially, and older fans, who expect something with the absurdly high 90s standards. Despite SEGA leaning towards the former these days, Olson does recognize that "there's still a very large-sized audience with old-school Sonic fans who grew up with the Genesis," and the company has to perform better to please them. However, he doesn't say SEGA will cater exclusively to the older fans either. "When we look at bringing Sonic to modern-day gamers, we … obviously want to appeal to as many people as possible but still focus on what it means to be Sonic and a Sonic game. Maybe that might lose some fans along the road, but we're picking up new fans that will hopefully grow with us as Sonic grows." Sega has publicly apologised to the fans as the quality of console games in the Sonic franchise hasn't been acceptable over recent years. 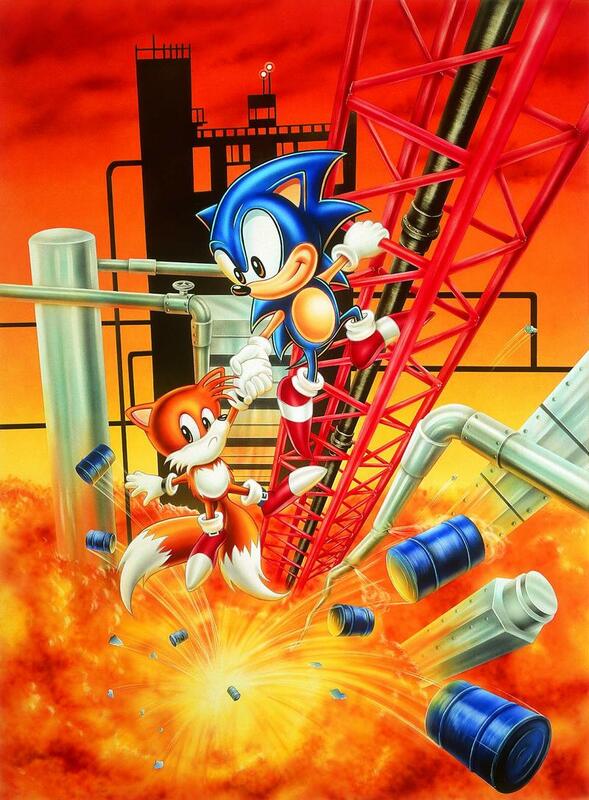 It's been tough translating that iconic side scrolling 2D experience from the 90s into 3D but Sonic is still huge for us so the new games will be more inspired by how it played in its heyday. The heart of the matter is that as long as people keep buying Sonic games, no matter how bad they might be, there is always that cushion of his popularity to fall back on. A stinky game could still sell very well, and this could lead to no changes ever being made. If critical scores and the vocal fanbases decided everything, Sonic would have been reduced to a Cartoon Network mascot by now. But they don't. The mighty power of green determines these things, and I'll believe SEGA again when I see it happen. I hope the company realizes that it has the blessing of 90s nostalgia behind it. Most audiences these days aren't so patient and would have abandoned Sonic long ago. Correction: A previous version of this article identified Chris Olson as the CCO of Sega of America. It has been updated to reflect his position as CCO Sega Networks.